COLONIE – The empty parking lot in front of the old Kmart on Route 2 became a mockup, on Tuesday, June 19, of the proposed Stewart’s Shop on Fuller Road. Cones were used to designate the 3,726-square-foot store, the three gas dispenser points with six pumps and the curbs bordering Fuller and Katherine roads. The purpose was to determine if a tanker truck could pull in off Fuller Road, navigate through the parking lot, re-fill the underground tanks and then exit by making a sharp left hand turn onto Katherine Road without hitting anything it’s not supposed to hit. Members of the Planning Board, representatives from Stewart’s and town officials were there to watch the driver easily navigate through the cones three times. The first time it was done with a mockup of Katherine Road six feet wider than it is now – a portion of the plan that has not yet been approved. The second was done with Katherine Road as it is now, and the third time was done as the road is now with a car parked on what would be the corner of Katherine and Fuller roads. The test was simulated on a computer, but last month the Planning Board – at the request of neighbors – wanted a real life demonstration. The mockup was done at the empty parking lot because there are two buildings – the long vacant Fuller Road House bar and another building – on the proposed site about a block down Fuller from Central Avenue. Stewart’s officials did offer to conduct the test onsite – after final approval is granted and the buildings are knocked down, but as a condition of allowing construction to start. 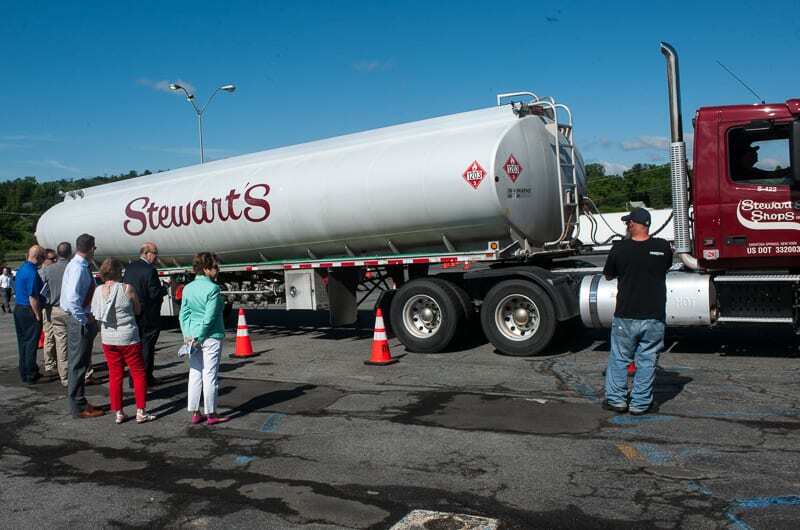 “It obviously works and it is a permitted use,” said an attorney for Stewart’s, Paul Goldman, of the truck test and the town’s current zoning parameters that allow such construction. Neighbors on hand for the demonstration say they don’t mind having a Stewart’s shop on the site but do not like the fact it will sell gasoline. It’s the first time in recent memory the town conducted a live truck test, and it’s the first time for Stewart’s too. The project was initially proposed as a 3,970-square-foot shop with four fueling points and eight pumps but has since been scaled down. Ideally, there would be two curb cuts, an exit and entrance, onto Fuller Road but that road is owned by Albany County and denied a request for two driveways onto the busy thoroughfare. As it stands now, there will be one driveway from Fuller and an exit onto Katherine Road allowing a left hand turn only to keep traffic out of the neighborhood. 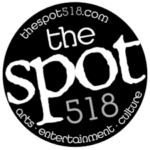 The Planning Board approved the concept last month and it could call Stewart’s back for a “board update” to discuss the truck test or it could go ahead and address the project – either by approving it or sending it back to the drawing board.